I had the delight to get back to my original interests and read some metaphysics of love. Jenkins project investigates the possibilities of what love can do and accept the conclusions thereafter. However, she does not give a precise conclusion of what love can do. This is actually to her benefit because any precision can automatically leave out various people who don’t fit into that definition. And other words, if you make a definition of love, then presumably you can bring all sorts of people into the tent, but it also leaves people outside of the tent. Instead, Jenkins makes the definition broad enough to the point where it has a subjective component where the people who are in love determine what sort of relationship they want. As an example, Jenkins is in a polyamorous relationship. The presumption is that love must be monogamous meaning that one is supposed to love only one person. This definition of love automatically assumes an exclusionary principle: if you love more than one person, then by definition, you are not really in love. But think about what we’ve also excluded who can be in love in the past. Remaining within your race is the proper way to legitimately be in love. If you’re in love with someone of a different race, then, by definition, you’re not really in love. We’ve also excluded queer people of being in love or having romantic relationships. Over time, we’ve realized our mistakes and have expanded the exclusionary principle to make our definition less heteronormative and less amatonormative. This exclusionary principle suggests that love is not something that is set in stone, but comes about because of our social understanding of love. Couldn’t the same be true for those who practice non-monogamy? Could the exclusionary printable also expand to those were polyamorous? Or perhaps more importantly: should we even have the exclusionary principal? Let me start with the metaphysical categories Jenkins addresses and then I will move to the ethical project. What is love? What Jenkins does is she further analyzes this question and I think what she’s really asking is what can love be reduced to. Here, we have two answers: love simply comes down to biology, or love simply comes down to our cultural and social understanding of love. So, which is it? Jenkins makes good responses in that love cannot be reduced to simply one of them. And so, Jenkins argues that it’s both: the metaphysical picture she has is that love has a dual nature. This is the way she frames it. “At its core is the idea that romantic love has a dual nature: is it ancient biological machinery embodying a modern social role” (82). The analogy is an actor embodying a character: William Shatner embodying the role of Captain Kirk is her analogy. If you take out one, then you miss out on the other. Admittedly, I’m having trouble seeing this. As I was reading this and came across the notion of dual nature, I was half expecting the result would be love qua biology and love qua social construction as two sides of the same coin. Or that one would be the emergent property of the other. Indeed, I’m inclined to think that with any sort of metaphysics about social construction, it is the way we value the facts. So love qua biology is simply the fact about humans. Love qua social construction is how we value those facts. For example, love for Victorian women is much different than modern love because society back then had different values than we do today. However, they had the same biology. So it’s the same fact but different ways of valuing those facts. Now one problem I have with Jenkins’s process is that I’m not so sure it really is a dual nature. Suppose early humans had no robust culture or a very rudimentary society. Any social constructionism would be very minimal. Let’s suppose that it’s so minimal that it is non-existent. Yes, they would be very early humans. Yet, their biology would be the same. Would we say they are in love? Well, biologically yes, but social constructively no. In my mind, this makes sense. These early humans would love each other, but there aren’t any valuations about this love. It’s a heavily biological process. But now let’s suppose there are some rudimentary creatures that are very complex (perhaps early mammals) but do not have the biology that can bring forth love. It seems that they are incapable of love because they don’t have the biological processes to do so. Thus, the biological process needs to be there in order for love to happen, and then the social constructionism can take place. Without the biology, the social constructionism is moot. Therefore, the biology is prior to social constructionism. Therefore, the dual nature of the metaphysics of love is faulty. And yet, when we think about the dual nature of love, we can either see it as either biological or social constructionist. This recognition, however, doesn’t seem to be based on the reality of the situation, but more on our perspective of the situation. Thus, I think the dual nature of love is more epistemological rather than metaphysical. If there is no Captain Kirk, we can still have William Shatner. But if there is no William Shatner, there is no Captain Kirk that we wold recognize. Thus, William Shatner is prior to Captain Kirk. “Ah,” a critic might say, “couldn’t we say that even if William Shatner didn’t exist, someone else could simply embody Captain Kirk? We could simply have an actor embodying the character.” Now this is true, but suppose, along with my example, there was no biology. By analogy, there are no humans but just simple creatures (early mammals, let’s say). In that case, nothing could embody Captain Kirk. With my analogy, the biological aspects need to be there for the social construction to take place. As I mentioned before, social constructionism is how we value the facts (in this case, biology). But without the facts, there is nothing to value. No biology, no constructionism. Likewise, no William Shatner (or no humans, let’s say), no Captain Kirk. The metaphysical implications of Jenkins also needs to be addressed. Here’s a thought that may have troubling consequences. 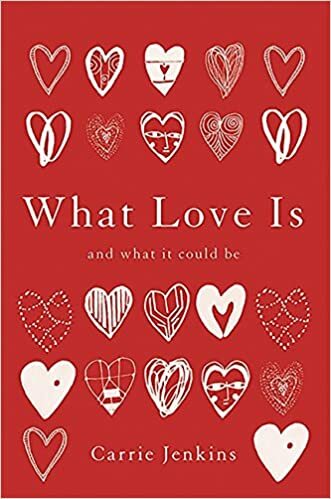 Jenkins argues that we need both biology and social constructionism to make sense of love, but the biology doesn’t necessarily have to be human. We can imagine aliens or advanced robots being in love as long as they go through the romantic-love-like behavior. This speaks to what is known as functionalism in the philosophy of mind. Now, there’s a debate within functionalism about whether philosophical zombies are logically possible. Let’s suppose there are. If that’s the case and if Jenkins theory is correct, then these philosophical zombies are not really in love. They just exhibit romantic-love behaviors. So at the very least, they can be in love qua social constructionism. But hold on. If love has a dual nature, and these philosophical zombies can be in love qua social constructionism, then they have to be in love qua biology. If that’s the case, then this implies that philosophical zombies cannot be logically possible. If, however, philosophical zombies are logically possible, then the dual nature theory that Jenkins proposes cannot work since they can only love qua social constructionism. I’m not sure if Jenkins considers this a high stake implication. Perhaps she’s willing to embrace the idea that philosophical zombies cannot logically be possible, but it’s an issue that grabbed my attention. Next, I would like to address the ethical implications of this book. People assume that love cannot change because the nature of love is stable. But, if we can change the values and the script of what we expect out of love, then we could improve love by changing the script and the expectations. For example, if we go back to the exclusionary principle, we’ve expanded it to lovers of different races and queer folks. If we change our script and expectations, we can also include those who are non-monogamous. In a way, we can look at the ethics of what we can love and if what we love doesn’t fit into the social script, then it’s not that our love is wrong; it’s the script: it’s the way we value the romantic loving interactions. But if we change our values, meaning our script, to include those people into the tent, then we will feel at home. Thus we can change the social values and expectations of love. Likewise, we now have the technology to change our biology about love. Recent work by Brian Earp and Julian Savulescu have investigated the idea to change the dopamine or oxytocin levels so that we can either continue to stay in love, or to get over break ups more easily. Thus, we could change the biology of love. Of course, it is controversial as to whether we should change our human biology to order to enhance ourselves, but in principle, it can be done. Here’s the ethical upshot: if we have an ethical idea of what is considered the good life, and our biology does not fit that, then one ethical project is to change our biology to fit our script of what is the good life. Likewise, if our social values and expectations fall short of what is the good life, then the ethical project is to change our values and expectations so that the narrative fits in what we consider the good life. Therefore, if the biology and social constructionist view of love falls short of what we consider the good life, then we should change them so that they fit into what we consider the good life. There something promising about this prospect. However, I can imagine a critic responding like this. “Sure, denying love for interracial couples or for a queer people was prejudicial and wrong. But now we’ve realized our mistakes and have fixed that. Love however should still exclude some types of love such as pedophilia, hebephilia, and maybe non-monogamy. Those types of love should be excluded from the tent because of either ethical implications, or because the nature of love ought to be exclusionary at some point. Well, here’s the drawing line of where it should be.” Thus, the critic will suggest there is an exclusionary principal but it’s not defined by the people. Otherwise, we run the risk of some sort of relativism. Now I think Jenkins could respond to this by embracing some sort of metaphysical pluralism that does not lead to metaphysical relativism, for example. However, that seems to be a different project altogether. But it does seem like a project worth investigating. She hints at it when she states that if the nuclear-type family were really natural and desirable, then we wouldn’t need the social norms and penalties to channel everyone toward it. I think that’s a promising start and it would be worth investigating more into that claim, at least metaphysically and ethically. Does this mean that polyamory is the next step of social acceptance? Maybe, but it’s a slow progress. Jenkins thinks that we are slowly moving toward the idea that serial monogamy, specifically serial temporary monogamy, will become the new norm. We can see this with dating apps where it was considered scandalous, but it’s now slowly becoming socially acceptable. Dating apps have the reputation for temporary connections or “hooking up.” Perhaps these hook ups are either expected as part of our social narratives of relationships or at least the default position won’t be long-term monogamy, but rather, “let’s have a conversation about what we want” which I think Jenkins would embrace. Overall, I really enjoyed Jenkins book. It’s not a heavy philosophical tome where one can only read a few paragraphs at a time to let the ideas fester. However, there are plenty of spots where I did have to stop just to think about the issue more. Indeed, I’m still thinking about the book as I’m writing this review. This entry was posted in Book Review, Culture, Love, Metaphysics, Monogamy, Polyamory, Relationships, Values and tagged Book Review, Carrie Jenkins, Ethics, Love, Metaphysics, Metaphysics of Love, Monogamy, Polyamory, Relationships, Values. Bookmark the permalink.